One of the biggest challenges that corporate innovators face is getting comfortable with failure. Even the smartest innovation teams hit dead ends sometimes. Wrong turns are an essential part of the innovation process, but it's tough for teams to feel good about friction, dead-ends or even complete flops. The experience of losing $10,000 or $20,000 can be gut-wrenching. What about millions? What makes corporate innovation even more challenging is that traditional, non-tech companies are entering tech terrain, exploring new market opportunities in drone development, supply chain optimization, and even food and agriculture tech. Thoroughly understanding the causes and contexts of failure helps circumvent the blame game and instead lays the framework for strategically learning from failure. Even though a seemingly unlimited number of things can go wrong in corporate innovation, failures generally fall into three categories: preventable, complexity-related, and intelligent. While preventable failures (i.e. creating a corporate innovation theater) can rightly be considered “bad," and complexity-related failures can run the gamut from inevitable to cringeworthy (i.e. structuring a corporate-startup partnership with many unknowns), intelligent failures should be applauded, revered and, mostly importantly, learned from. If you're a corporation, for example, contemplating partnering with a startup, you should consider your objectives before you launch the initiative. Consider why you are engaging with startups. Do you want to rejuvenate corporate culture? Solve business problems quicker and at lower risk? Innovate to attract customers, partners and talent? Or are you hoping to expand into future markets by gaining access to new capabilities or channels? Pay attention to real internal needs, not PR. What does a successful corporate-startup partnership look like? An unsuccessful one? To combat confirmation bias (gravitating toward information that confirms what we already believe), write your assumptions down and share them with your team. Challenge teammates to seek out information that indicates that your assumptions might be flawed. It's better to discover contrary information early, before you've made serious financial and time commitments. This is also the time to consider potential barriers: internal (culture and process), relational (alignment of goals and trust) and environmental (legislation and geography). Select the type of innovation program that best complements your objectives, and develop key performance indicators (KPIs) to measure the progress of the partnership. Continuously capture data and feedback. If your current model it isn't working, iterate. Note: A successful iteration can be as a subtle as a name change. For instance, to differentiate itself, 500 Startups recently rebranded its “Accelerator Program" to the “500 Seed Program" and “500 Series A Program." Iteration can also take the form of pivoting. In 2015, Nordstrom moved away from focusing on its innovation lab and towards acquiring minority stakes in startups, like the supply-chain software startup Dsco. Failing cheaply is an important corollary to failing fast. Create an innovation budget and adhere to it. Additionally, take inspiration from General Electric, and consider training corporate innovators in Lean Startup methodology, which has helped corporations like GE save millions. To conserve resources, you also have the option of partnering with other CVC (corporate venture capital) units instead of starting your own. 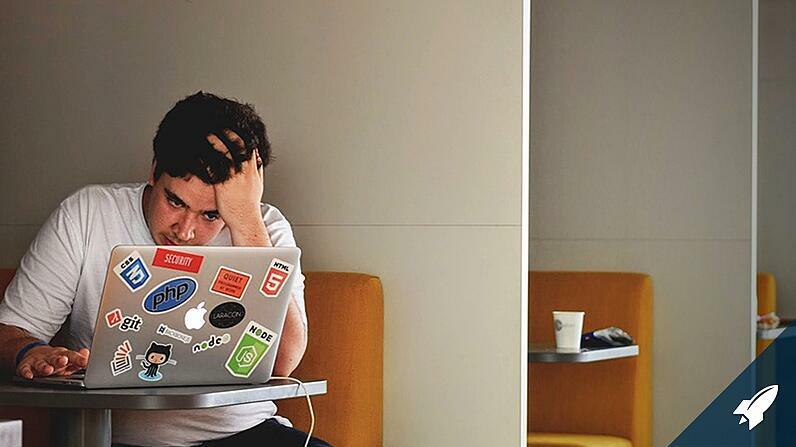 Especially if you haven't worked with a startup before, the biggest uncertainty might be: “What's it like to work with a startup?" That's why it's imperative to make the process as seamless and structured as possible. From the start, set expectations about startup culture (including dress code) with corporate colleagues, be clear on the process and timings, and bring someone with tech skills to every startup conversation. If applicable, be crystal clear about IP-related ownership and consult legal advice when necessary. Facebook might be the king of social media, but it's also the king of celebrating intelligent failure. According to Facebook's CIO Tim Campos, “Move fast, and break things!" is fundamental to the success of his IT team. In fact, Facebook not only embraces failure—the company strongly encourages it. “One of the things that's really powerful—and what innovation effectively is—is a license to fail. When you're willing to tolerate failure, people are willing to do things differently. And if you're not willing to do things differently, you have to do it in a tried-and-true way, which is not innovative," Campos explains. Furthermore, it might sound counterintuitive, but make sure to embrace messengers of bad news. To maintain a psychologically safe environment that celebrates intelligent failure, those who come forward should be rewarded, not punished. Be thankful for the value of the news, and then learn from the failure. This one is straightforward. Failure can be intelligent, but not if you make the same mistake again and again. Ensure that your entire organization learns from what works and what doesn't. Intelligent failure means doing the research and laying the groundwork, implementing the most cost-effective, appropriate innovation model (for all parties), and then celebrating and learning from its outcome, whatever it might be. Since the life of an S&P 500 company is rapidly declining, innovation is critical for established corporations to stay relevant. If you still fear failure, RocketSpace can help. Through decades of lessons learned from corporate innovators around the world, the RocketSpace team has learned one foundational lesson: Since failure is an unavoidable part of corporate innovation, embrace opportunities to minimize risks. Emerging models include open innovation, collaborative accelerators and corporate-startup partnerships. The value of these structures is that they reduce risks, conserve resources and improve the probability of success at every checkpoint, while taking advantage of wrong turns to fine-tune strategy with clear, focused, methodical steps. So keep pushing. Keep making mistakes. Keep iterating so that corporate innovation success materializes over time. Interested in learning more? 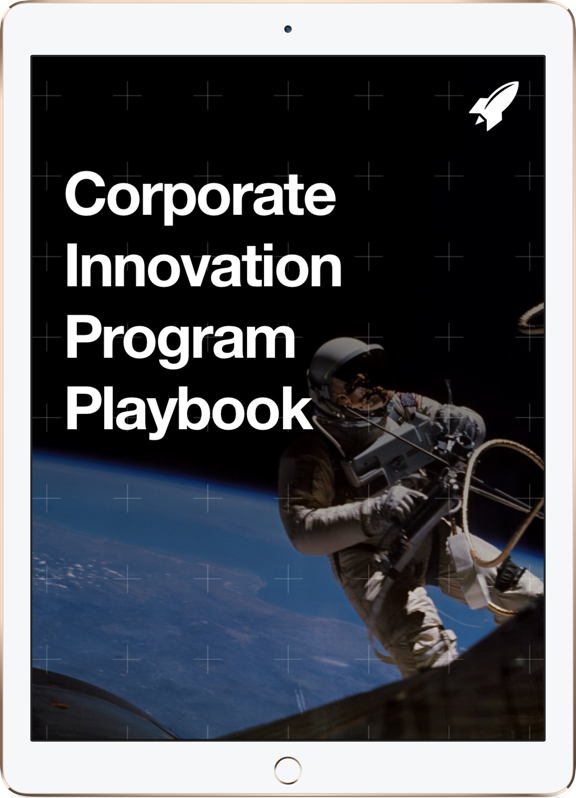 Looking to build or optimize your own corporate innovation program? Get in touch with our corporate innovation services team. We'd love to share what we're learning from working with corporate innovators from around the world. Want to learn how to fuel your corporate innovation strategies? Learn more about our Corporate Membership Program and how we help corporate innovation professionals gain exposure to game-changing startups in their industries and the tactical toolkits to partner with them.